I was playing around with some products from my Sneak Peek order last night. 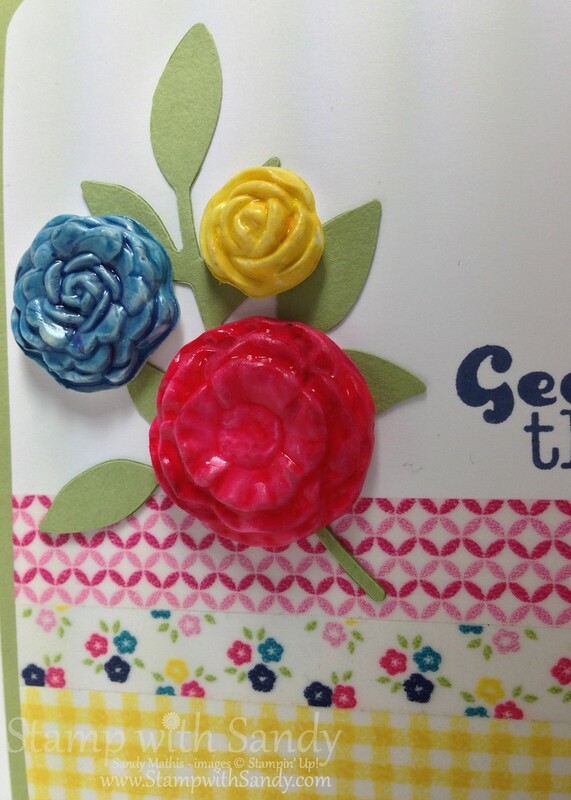 This is what I came up with, a CAS featuring clay flowers and Washi tape, products new to the 2013-2014 Catalog. 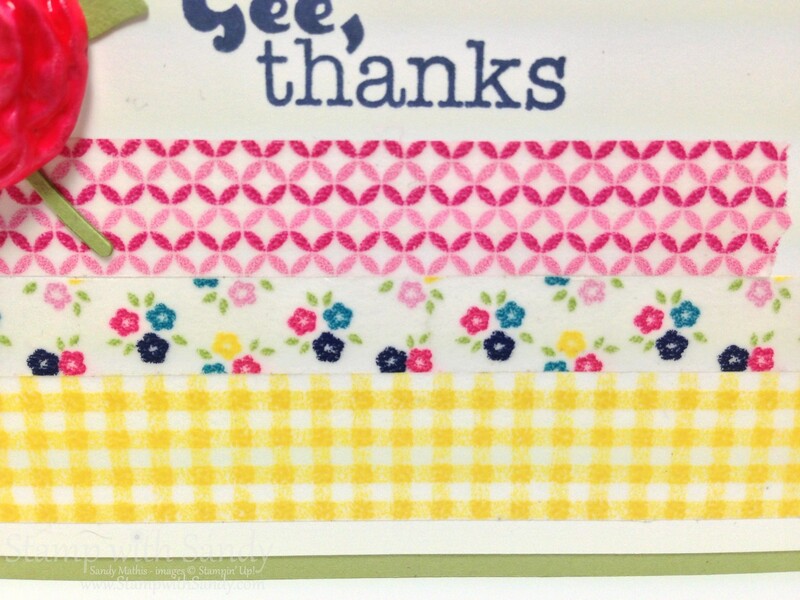 The greeting is from the Really Good Greetings stamp set, also new. 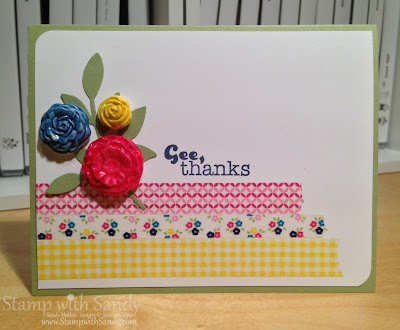 The base of the card and leaves are a returning color, Pear Pizzazz. Hooray for Washi tape! This trio of tapes is called Gingham Garden Designer Washi Tape and features the colors Pear Pizzazz, Melon Mambo, Daffodil Delight, Island Indigo and Night of Navy. Love it! What can be easier to use than tape? I made these pretty flowers myself using new Simply Pressed Clay and Buttons and Blossoms Clay Molds. The clay comes white. Though you can color the clay using ink refills, I just made white flowers and then colored them afterward. I was experimenting, so the Melon Mambo flower was colored with a marker and the smaller two were colored with ink refills and an Aqua Painter. As you can see, markers achieve the best color saturation. All three were brushed with Crystal Effects which results in the shiny finish. I hope you enjoyed today's project. If so, please leave a comment! Thanks! This is so pretty, Sandy! Love the shine on the flowers!